One of the benefits of sampling the many alcohol-free beers that come out of Germany is discovering new breweries. Well, old breweries that are new to me. 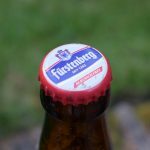 One brewery I’d never heard of before is Furstenberg, based in the Black Forest. I’m a bit late to the party though – previously owned by the noble German family of the same name, its been brewing beer since 1283. These days it’s 49% owned by beer giants Heineken, but operates independently. Hence why it still sources its barley locally. And there was me thinking that the Black Forest was all cherry trees, creameries and cocoa plantations (hey, I grew up in the 80s on Black Forest Gateaux). 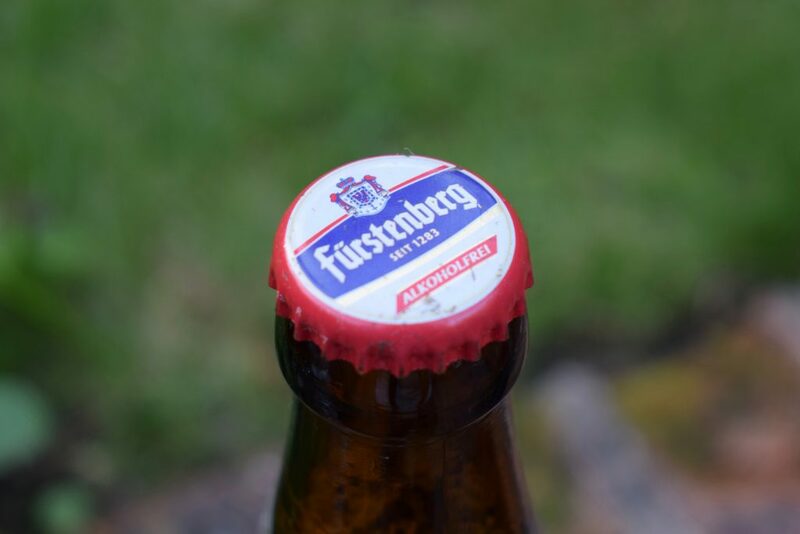 Furstenberg first brewed lager in the late 1800s, and – as with most things German – was well ahead of its time when it produced its first alcohol-free lager in 1972. Like most “non-alcoholic” German beers, “Alkoholfrei” comes in at 0.5% ABV meeting the European and US definition of alcohol-free. Rather than using a lazy yeast that doesn’t produce much alcohol, the brewery removes the alcohol after fermentation. From the looks my bottle, Furstenberg reuse their bottles. Why don’t more breweries do this I wonder? Anyway, out of the bottle, Alkoholfrei pours an amber colour with a decent head of foam, which hangs around a little as you drink it. On the nose, the malt and yeast combines to create a sweet, clean, biscuity smell that has a whisper of pepper. It’s a varied aroma for a pilsner-style lager. The mouthfeel is gorgeous – tingly, not fizzy; creamy, not syrupy. 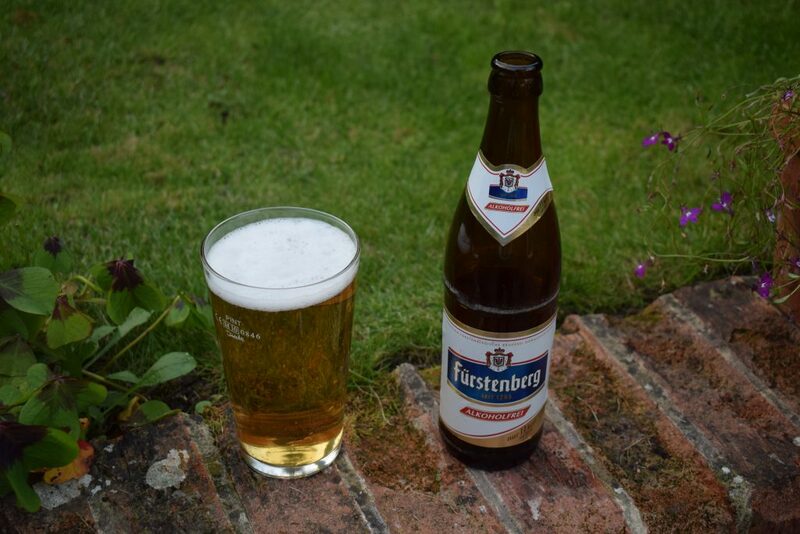 I’ve no idea how it compares to Furstenberg’s higher-strength beers, but it’s a joy to drink. The creaminess stopped me downing it too quickly and made it feel like it would go down nicely while munching on a meal. The cleanliness from the aroma continues in the taste, but it’s less biscuity. As expected for a German lager, it’s crisp despite the creaminess in the mouth. There’s hardly any bitterness until swallowing. Then the bitterness continues a little in the aftertaste. It eases off as you make you’re way through the bottle. 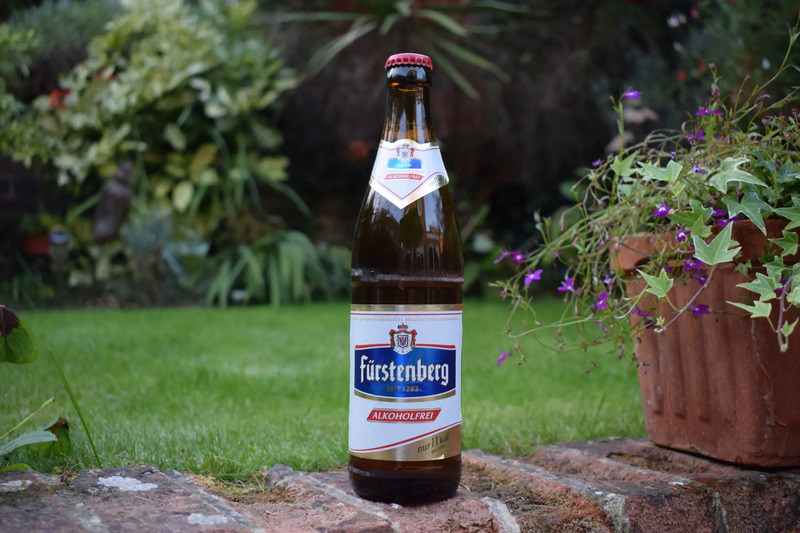 Furstenberg have come up with a lovely little low-alcohol number with their “Alkoholfrei” lager. The aroma and flavour are decent, yet not exceptional. But it’s the creamy mouthfeel that steals the show. If you’re a lager fan and bored of the alcohol-free lagers available in the shops, this one’s worth seeking out.